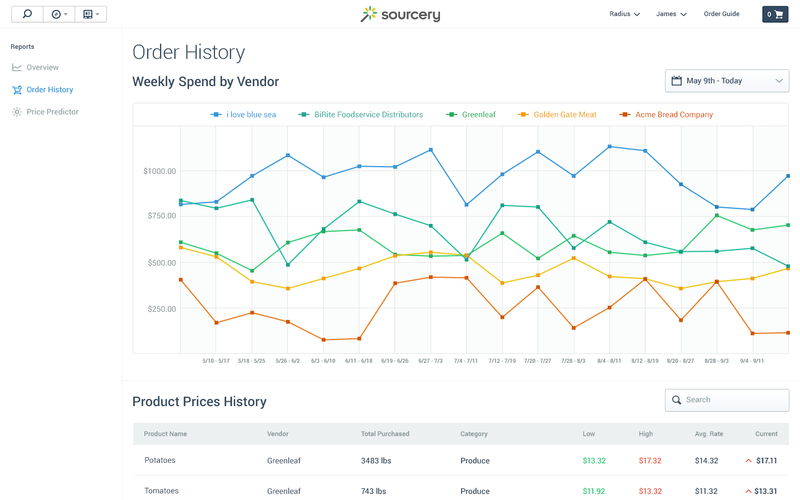 Sourcery's comprehensive reports help you make the right decisions, at the right times. Track your spending in real-time across multiple suppliers and product categories with our clear, concise reports. See your entire kitchen spend on a single dashboard, from your carrots to the cleaning service. Understand how your business really runs with regular notifications from our powerful analytics platform.